The PKI 6650 uses the technology of the more advanced digital frequency generation, compared to the traditional PLL technique, in order to allow different modes of signal generation. B) Hopping – Jamming of jumping frequencies in combination with an optional connected surveillance receiver, a single bus-band may be selected or the whole spectrum of 20-3000 MHz. On special request we are able to deliver also frequencies up to 6 GHz. C) Sweep – Jamming of a frequency band at an ultra-fast speed and in a continuous mode, various programmable frequency windows allow to define the beginning and end of the frequency bands to cover. D) Barriage – Instantaneous and continuous p.n. noise (pseudo noise) jamming over a wide band. 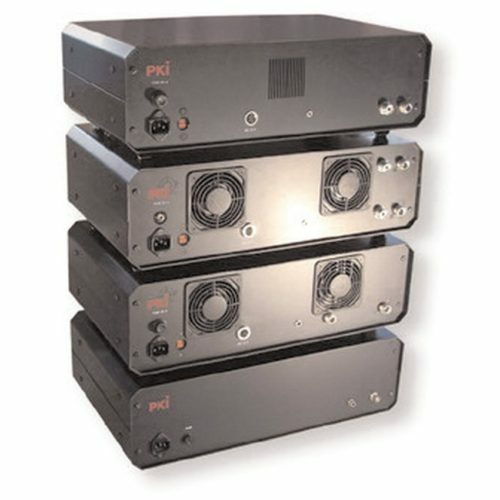 It is possible to activate all sub-bands at the same time and to get a total complete RMS power of 1100 W output to the antenna.